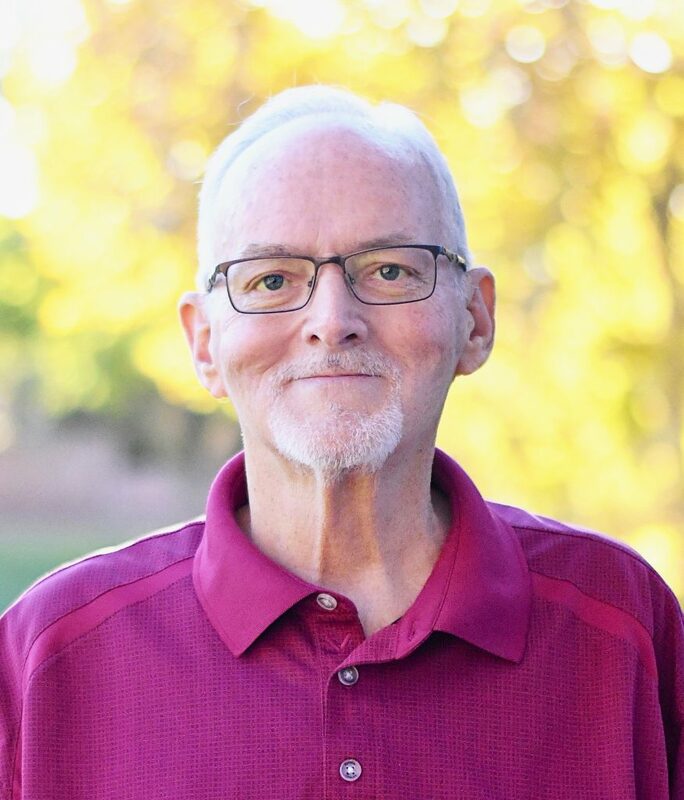 Douglas Bruce Davis passed away on Dec. 1, 2018, surrounded by his loving family. He valiantly fought a two-year battle with end-stage liver disease, liver transplant and finally T-cell lymphoma. Doug was born on May 19, 1954, in England to George Douglas Davis and Barbara Jean Walton Davis. His father spent 21 years in the U.S. Air Force, which gave the family the opportunity to live in England, Germany, the Philippines and Japan. Doug loved those years and he grew to appreciate people and cultures that were different than his own. Known fondly by his family as “Dougie Bruce,” he was the oldest of nine children consisting of three boys and six girls: Lydia, Wendy, Eric, Janet, Christine, Darian, Jamie and Mike. He loved his siblings and they love him. After graduating from Payson High School (Utah), Doug returned to Japan to serve a mission for The Church of Jesus Christ of Latter-day Saints. He was instrumental in bringing Salt Lake City and Matsumoto, Japan, together as sister cities. He loved the Japanese people, food and customs. Upon returning from his mission he went on a blind date with Miriam Johnson and they were married a year later in the Manti Temple. They were blessed with three daughters and two sons: Lecia A. Davis, Amy C. Davis, Stephen D. Davis (Julia), Kimberly S. Prince (Chandler), and Eric J. Davis (Taylor). The family grew to welcome one amazing granddaughter, Eva Hughes, and 10 rambunctious grandsons: Joel, Samuel and Aaron Hughes; Jacob, Landon, Benjamin and Evan Davis; Luke Prince; and Jude and Eli Davis, who will welcome a baby sister to make a dozen in January. Doug adored his grandchildren, as attested to by anybody who would stand still long enough to listen to him brag, complete with pictures and videos on his phone. He was the World’s Best Pappy; making the grandkids laugh by being silly, water-time in the jacuzzi, reading books with gusto, playing at the park and snuggling with them to watch cartoons. He was blessed with the ability to be childlike with them and they truly loved their Pappy. Doug’s free spirit and entrepreneurial desires made self-employment the perfect career fit. In 1984, he moved his young family to Torrance, California, and started Champions Maintenance Services, which he successfully ran for 34 years. Being self-employed afforded him the opportunity to watch almost every drill dance competition, track meet, soccer match, baseball, softball, basketball and football game that his children competed in. He coached Little League baseball for a few years, but his true love was coaching soccer. He had a talent for explaining the game in a way that clicked with young minds. Fishing with his brother, Eric, was a favorite pastime. He also truly enjoyed spending quality time with his many golfing buddies. Doug competed in the Utah Amateur Open in the early ’70s, was a Gladstan Golf Course Club Champion and has two certified hole-in-ones. He was on the board of the LDS Golf Association of Southern California for many years. Doug taught all of his children to play golf and was working on the grandkids. Another gift Doug passed along to his family was his great love of music, all different genres and artists. We had a lot of fun when he would play the guitar and we would join in singing. Doug had an awesome playlist that we all enjoyed. Doug was a dedicated member of The Church of Jesus Christ of Latter-day Saints and held many callings throughout the years. One of his favorite callings was being an Early Morning Seminary Teacher in Torrance, California. He was a great storyteller and make the Scriptures come alive. Doug was loved; an easy and loyal friend. His family misses him immensely. He was preceded in death by his parents and youngest brother, Mike. Doug’s memorial service will be held on Saturday, Dec. 29, at the LDS chapel located at 124 N. Valley View Drive, St. George, Utah. Visitation will be at 11 a.m. Services will begin at noon. If you have the jersey or scarf of your favorite soccer team, you are encouraged to wear it. Arrangements entrusted to the care of Affordable Funerals and Cremation 435-680-7035. For condolences, full obituary and funeral listings please visit Affordable Funerals and Cremation online.